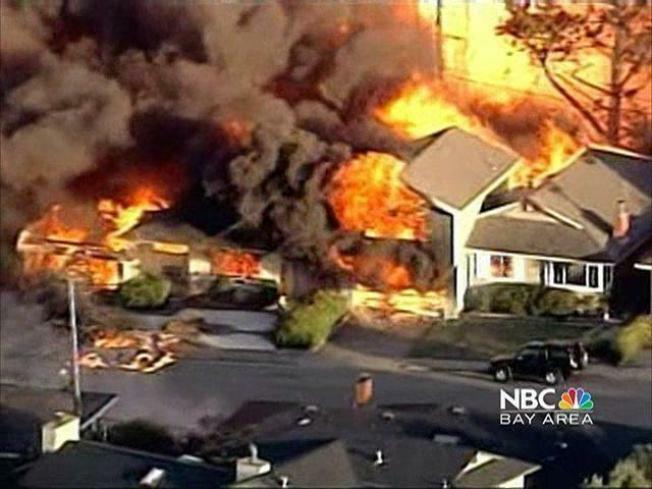 PG&E lawyers demanded an immediate mistrial in the pipeline safety case against the company on Friday after prosecutors referred to the San Bruno pipeline explosion in questioning a witness. “It was completely unnecessary and unduly prejudicial to tie this to the San Bruno explosion,” PG&E lawyer Robert Sims told U.S. Judge Thelton Henderson. The dispute comes after Henderson has previously warned both sides against mentioning the blast, which he has previously ruled is not relevant to the charges at hand. At minimum, Bauer said, the jury should be reminded that the pipeline counts are not related to the blast. Ironically, the judge has already so instructed the jury about the lack of relevance of San Bruno after PG&E itself brought up the blast in its opening statement. The dispute erupted after Assistant U.S. Attorney Hartley West cited the Sept. 9, 2010 disaster in questioning a former PG&E engineer turned private consultant about his role in preparing the company for a regulatory audit in the months before the explosion. In her defense, West told Henderson she only mentioned the accident so as to pinpoint the circumstances of the audit – whether it was conducted before or after the blast. While Henderson has repeatedly reminded the jury that the case is largely unconnected to San Bruno, PG&E does stand accused of misleading federal officials probing the disaster. Specifically, the company is accused of lying to the National Transportation Safety Board policy when it said it did not have a policy to avoid costly pipeline inspections unless gas pressure surged ten percent above historic levels. West told Henderson that the San Bruno blast marked a “turning point for PG&E” in prompting a “cover up” of its alleged policy of avoiding costly gas pipeline inspections following pressure surges. She said the blast itself was part of the “framework for the obstruction” charge in the case. Henderson did not immediately rule on PG&E’s motion. Such tests would cost as much as $150,000 per pipeline mile, company officials said in documents. Checking its lines for rust by above ground means, however, would only cost about $2,731 per mile. Prosecutors have told the jury that the case is about the decisions by the company to sacrifice safety for profits by avoiding costly inspections called for by regulations. Warner had headed a gas integrity unit before the blast. His team was rewarded in 2006 with bonuses, based in part for “efforts to manage” costs. “Come see me about your checks,” Warner told various members of his team in a March 2006 email announcing the bonuses, according to one email shown to the jury. The case continues Tuesday.